The Qemists’ moniker is the Brighton trio’s attempt at clever branding of their unorthodox mix of diverse genres and sounds. It’s an apt description of the group’s drum ‘n’ bass and rock amalgamation. In truth, the overall formula works somehow, though that’s as far as Spirit in the System goes: a barely listenable mash of modern-day technology and traditional rock basics. What separates Spirit in the System from the childish and the youth-driven is virtually nonexistent. Yes, Spirit will please Warped Tour followers, but for how long? It’s as if a short-term memory is required to follow the album in its entirety. The Qemists’ musical background is front and center: a former live rock band with a penchant for dirty bass. In between rock shows and drum ‘n’ bass DJ/production gigs, The Qemists was born. It’s obvious that the trio, bassist Dan Arnold, drummer Leon Harris, and guitarist Liam Black, excel more so in the electronica world; the programmed beats are thunderous. It’s only when the rest of the elements are piled on that tolerable beats become little more than clutter. Credit is given where credit is due, however. The Qemists succeed in pushing a new sound composed of genres some would never dare to mix. Their attempt alone should be celebrated, but not their music. 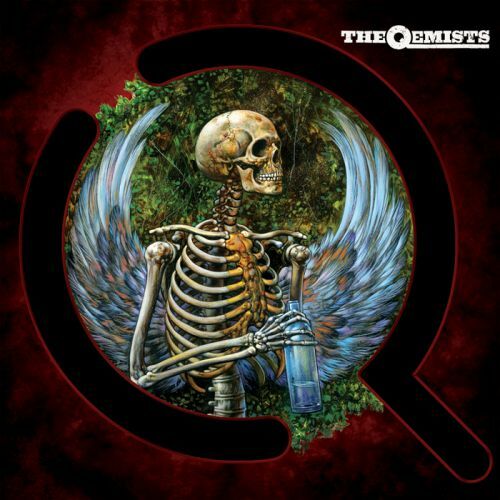 Even if The Qemists kept things simple (“Fading Halo” featuring Chantal of Invasion and “Hurt Less” featuring Jenna G), Spirit in the System would have been bearable, at most.